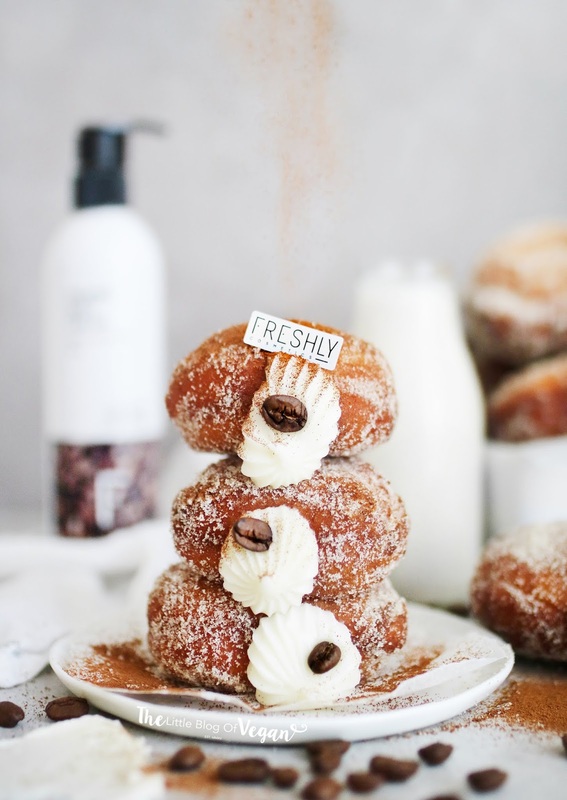 Coffee and doughnuts..count me in! 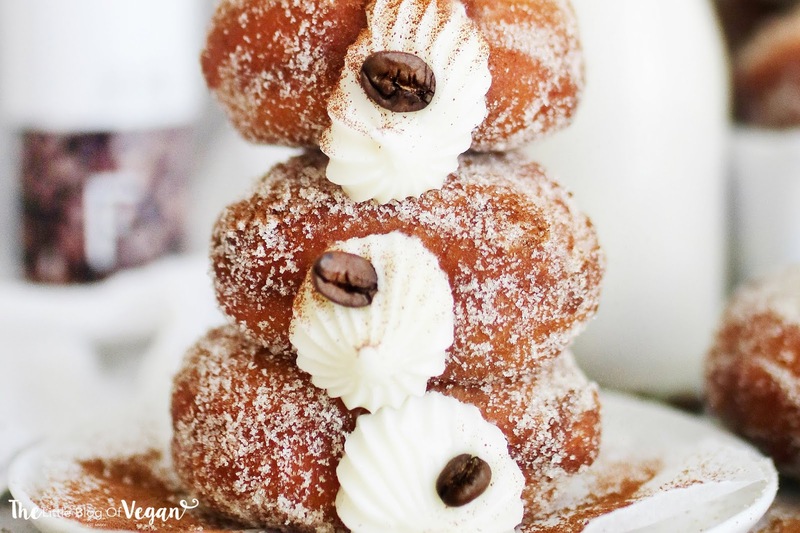 Fluffy and airy vegan doughnuts, with a coffee cream filling, rolled in cinnamon/coffee sugar, served with a decorative coffee bean- YUM! Coffee is my main weakness. Especially my morning almond iced coffee, its something I look forward to every morning. These doughnuts are easy to make and produce the best doughnuts each time. This will be your 'go-to' doughnut recipe, I'm sure. I have created this amazing recipe in collaboration with Freshly Cosmetics. 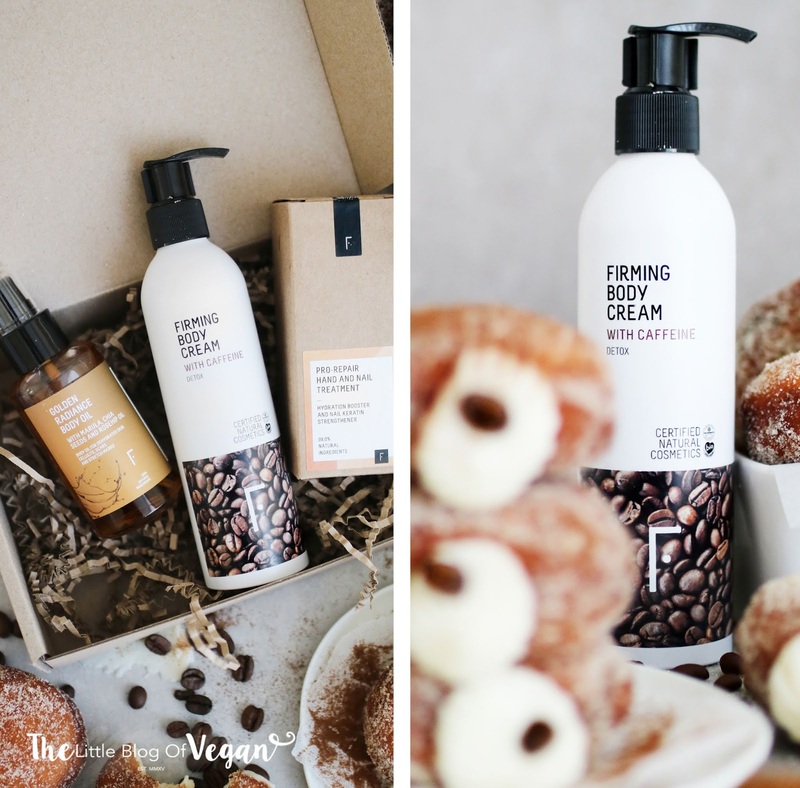 Freshly cosmetics make natural, non-toxic, vegan and cruelty-free skincare products. Find them here. My favourite product has to be the 'Firming body cream with caffeine'. It doesn't only smell like coffee but leaves your skin so smooth. Love it! 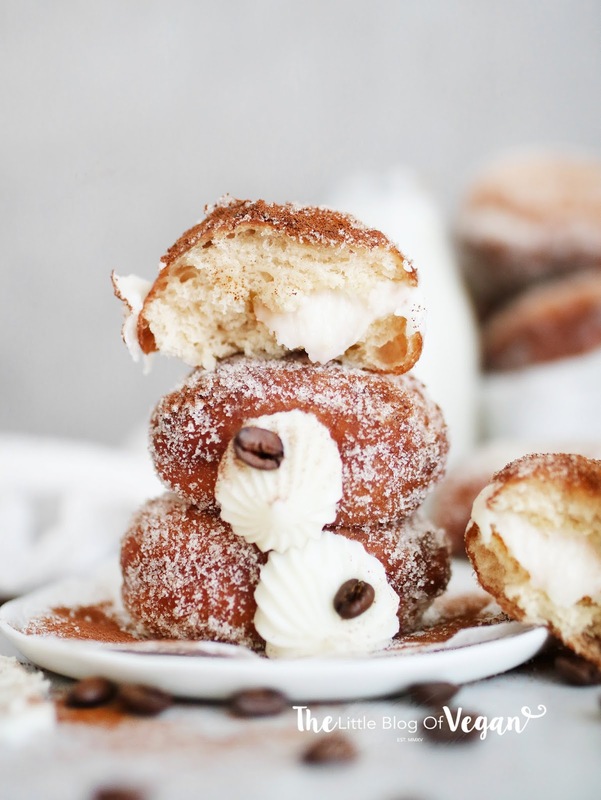 These doughnuts are easy to make and taste irresistible! They are going to make you very popular in your household, trust me! 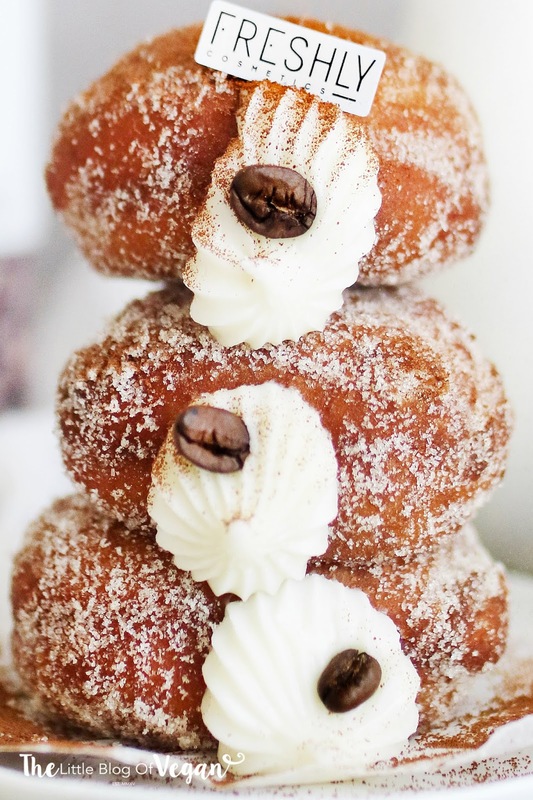 These are doughnuts NOT to miss baking...they're incredible. You can use a deep fat fryer. Step 1- Place the dairy-free milk, melted butter, icing sugar, ground coffee, cold brewed coffee and corn starch in a bowl and mix until combined and smooth. Step 2- Pop the filling into a piping bag and snip off the tip. Step 3- Poke a hole in the side of the doughnuts and fill each doughnut. Serve fresh with a coffee beans (optional). You could also serve them with grated dairy-free chocolate and a dusting of powdered sugar. Store in a sealed container for up to 4 days. Shop the whole 'Freshly Cosmetics' range here. This is a paid collaboration with Freshly Cosmetics. A huge thank you to Frehly Cosmetics for collabing on this recipe with me!